This museum is as unique as the city it is located in; tiny but packed with exciting information. 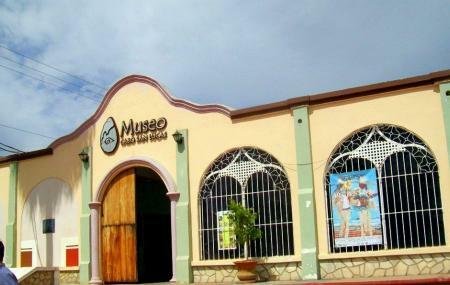 The museum was opened in 2006 and exhibits anthropological, geological and botanical displays that are both historic and rare. There is a section dedicated to the history of Cabo too. There are local marine displays that are extremely interesting alongside some murals made by local artistes. This museum is a whole of regional and cultural history rolled under one roof. How popular is Museo De Las Californias? People normally club together Twin Dolphin Beach and Santa Maria Beach while planning their visit to Museo De Las Californias. The lady in the front was not too kind especially when she knew I was traveling from California she charged me double the price it was ok but then she tried questioning my partner who lives in Mexico. She didn’t believe him that he lived in Mexico and wanted to see his I.D. Or else she would charge him the same as me. She then questioned my bill too because she thought it looked weird “fake” I was like “this lady doesn’t want us to visit the museum” I felt uncomfortable. The museum needs some paint touch ups. It was very humble and nothing amusing or amazing. I love museums and it really doesn’t matter I just did not like the service. Great way to practice reading in Spanish as well as learn about the geographic and cultural history of Baja Sur and Los Cabos. Some of the material was in a state of disrepair. I hope more traffic affords them the ability to improve the conditions. Very interesting. Needs more English descriptions. I read a review of something else but they suggested checking this little museum out. It's somewhat dated but there is copious amounts of information! My biggest takeaway was the video on traditional Mexican cowboys. It is mainly in English with Spanish subtitles. I thoroughly enjoyed it and learnt so much. Credit to the documentary creators of the film. When I went (June 2018) the entry fee was 40 pesos.